The Chain are mainly a landowning community. At present, agriculture is the traditional and primary occupation. They generally do not accept food from the Dhobi, Chamar, Napit, and Bania communities, nor from Muslims. Except for the Brahmin community, all other communities of the region accept food from them. Shell (sankha) bangles and vermilion are the symbols of married women. An Agradani or Kantaha Brahmin officiates as a priest during ceremonial rituals. Spiritual opposition can be expected when the Gospel of Christ is proclaimed. Pray against this opposition and for freedom for the Gospel to advance. 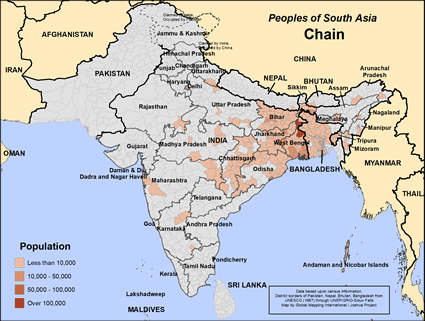 The Chain community primarily speaks Bengali, and there are many good resources available in Bengali. Pray for workers to take these to the people. 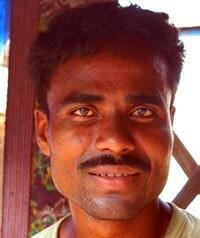 There are no known followers of Christ within the Chain community in Bangladesh. Pray they will encounter believers in their interactions outside of the group, who will be lead to share the Gospel with them. Please pray the Chain community will be able to prepare their children for productive lives, with good schools available. View Chain in all countries.